WHILE Matt White is preparing to host Carols in the Domain on Saturday, he took time out to tell us about his motoring passions and past. A Kia Optima. It's very easy. My regular day drive is home to work and work to home. Also when I can I jump into my wife's car, which is an X5 BMW. We've also got a little Honda SH 150 scooter. Between the three of those we've got ease and quality covered, luxury covered and a bit of fun covered. What do you like and hate about your car? One of the things that I look for in a car is functionality. I want the car to work for me, so as much as I would love a convertible, beefed up, just a super powerful car, it really would serve no purpose. I like ease of driving, especially when you live in a city like Sydney. One of the great things I like about the Kia is that it has everything that I need. It's got enough power, enough comfort, enough gadgets, enough safety features, enough room. It just ticks all those easy boxes. I'm not an overly particular car person, but I am a particular drive-what-I-want-to-drive person. What was your first car and what happened to it? A Datsun 120Y. It was orange, it had black vinyl roof and seriously cheap roof racks. I don't know what happened to it. I must have got rid of it but it just faded away. It was a manual little burner. Felt like a Datsun and drove like Datsun (laughs). During your childhood, what car did your family have? I was the youngest of six children, so for us six kids it was always wagons-ville. We had the Ford Falcon wagon. It was a pretty off-yellow, beige cream colour. It was a pretty ordinary thing, but it served the purpose of trucking around a family of six kids. I really do like the super top-end Mercedes AMG range, take your pick. I would look at probably the SLS AMG range and anywhere up there. I just love their look and their feel. I'm also a massive fan of the BMW 650i. I've driven one of those around. It's a super car. Matter of fact: White began his journalism career at a newspaper in Manly before moving to radio and joining Newcastle's NEWFM to present breakfast news. 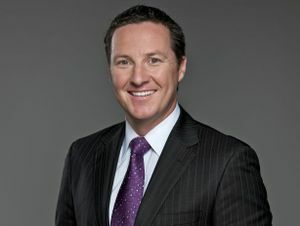 He moved to television in 1992 when he became weekend sports presenter for NBN. Current job: Channel Seven presenter.